A Leica prototype camera produced in 1923 has sold for a record breaking 2.16m euros (£1.74m) at an auction in Austria. It becomes the world's most expensive camera, and is one of just 25 models created for the original Leica A - the first commercially successful compact camera which used 35mm film. Only 12 of the cameras are thought to have survived, with this one being purchased by an anonymous buyer. The camera had an estimate sale price of 600,000 thousand euros, but the sale price was 1.8m euros by the end of the auction, the rest of the figure paid is made up of taxes and fees. It breaks the previous record, also held by a Leica camera, which fetched 1.32m euros. Leica is one of the world's oldest photography brands, and remains a premium manufacturer today. 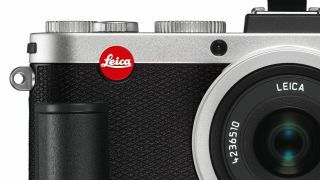 Last week, it introduced the Leica M Monochrom, a camera with a sensor capable of recording only black and white images. It has an RRP of £6, 120 (around $9, 860). The company also introduced a limited edition version of its M9 rangefinder camera in collaboration with the French designer Hermes, with a price tag of $50,000. The reception to the Leica A prototype was apparently mixed, but the company decided to take a risk and produced 1000 initial units. By 1932, that figure had risen to 90,000.